We are pleased to announce that the full SDK for Android 4.1 is now available to developers and can be downloaded through your SDK Manager. You can now develop and publish applications against API level 16 using new Jelly Bean APIs. We are also releasing SDK Tools revision 20.1.1 and NDK revision 8b containing bug fixes only. Giving this Nexus 7 it’s name is the glorious 7” screen. As developers we see this as around 600 * 960 density independent pixels and a density of tvdpi. As Dianne Hackborn has elaborated, this density might be a surprise to you but don’t panic! We actively discourage you from rushing out and creating new assets at this density; Android will scale your existing assets for you. In fact the entire Jelly Bean OS contains only a single tvdpi asset, the remainder are scaled down from hdpi assets. res/layout-sw600dp/activity_home.xmlThe sw600dp qualifier declares that these resources are for devices that have a screen with at least 600dp available on its smallest side. res/layout-sw720dp/activity_home.xmlThis technique allows a single application to use defined switching points to respond to a device’s configuration and present an optimized layout of your content. 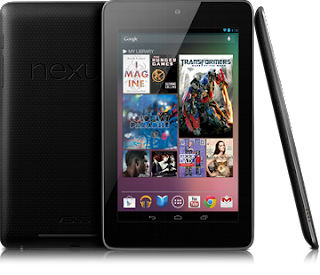 Conclusion Nexus 7 ships with Jelly Bean and its updated suite of system apps are built to take advantage of new Jelly Bean APIs. These apps are the standard against which your application will be judged — make sure that you’re keeping up!